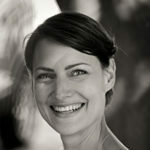 Body Intelligence (BI) is a unique movement form developed by Meret Storck-Matchett. 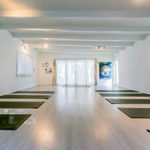 Influenced by yoga, Pilates, elements of Brain Gym and the latest conscious movement concepts, the principles of BI are focused on enhancing each individual’s movement needs. The aim of BI is to increase body awareness, prevent injuries, stabilise joints, strengthen muscles and correct imbalances. BI is endorsed by physiotherapists, chiropractors, biokineticists and osteopaths. I have known Meret professionally for several years and during that time have observed with interest her development and refinement of the Body Intelligence method. Having experienced the method personally and observed it from a professional perspective I can highly recommend it. The exercises combine stability, strength and flexibility in a way which engenders a feeling of confidence in movement and this effect stays with you even weeks later. BI contains a unique combination of focused movements, balancing poses and stretches; it incorporates standing exercises as well as floor-work. Dynamic variations add an element of playfulness and lead to a full body workout. Classes incorporate the use of equipment such as balls, bands, rollers and foam blocks and are presented to groups limited to 12 participants. Each class is refreshingly different and adapted based on the ability and experience of those in attendance. Alignment and movement control are strongly emphasized in each class, with personal instruction throughout to avoid pain or strain. A guided relaxation at the end of each class is an integral part of the body intelligence experience. Men and women of all ages and fitness levels are welcome.